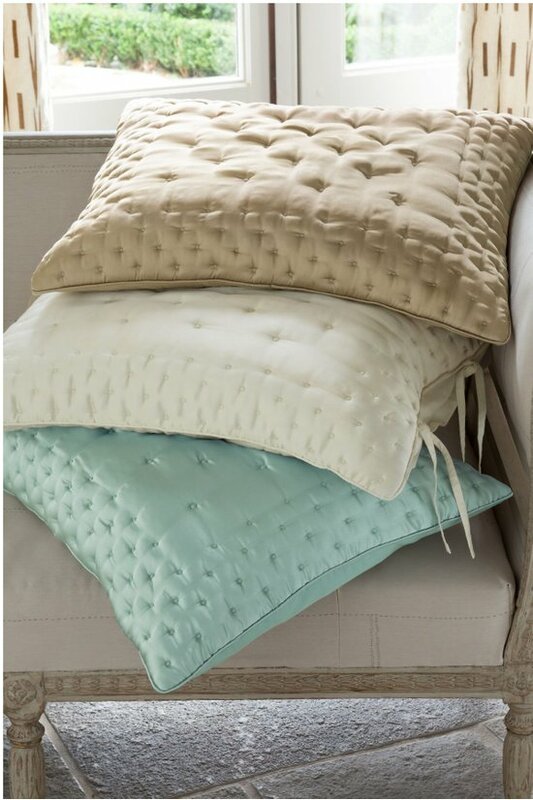 An essential layer of glamour for the bed, our Adagio collection is all about luxury. Start with the fabric: sublime to the touch, it's washed down for a rich, lustrous sheen and an amazing hand that's softer than silk. Dotted with embroidered stitches for a dimensional puckered effect, it's masterfully finished on all sides with a tightly tufted border. Exceptionally light and lofty, the comforter (sold separately) has a wonderful, season-spanning versatility that marries beautifully with many other bedding collections. 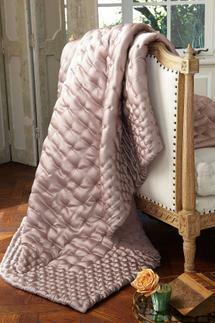 The quilted sham has a French fold and closes with cotton side ties. Polyester with polyester fiber fill; reverses to a cotton backing. Detailed with stitched dots and a lattice border. French fold flap holds pillow in place. Closes with cotton side tie closure. Machine wash cold, Gentle cycle, Only non-chlorine bleach when needed,Tumble dry low, May be dry cleaned.